The US is one of the best places in the world for natural beauty, home to everything from dense, verdant forests and breathtakingly beautiful mountain ranges to impressive rock formations and stunning coastlines. Here’s our list of top 10 national parks in America, each one offering a unique experience and surroundings which attracts thousands of visitors every year. What is it: Hawaii Volcanoes National Park is where you’ll find two of the best-known volcanoes – Kilauea, one of the most active volcanoes in the world and Mauna Loa, the biggest one on the planet. Getting around: The fastest way to visit the park is to follow the Crater Rim Drive which covers a section of the summit caldera and passes through rainforest and desert. If you have more time to spend at the park, you can explore the East Rift and coastal area along the Chain of Craters Road, which descends a staggering 3,700 feet across 20 miles. There is also a vast array of trails for hikers to enjoy. What to see and do: The Hawaii Volcanoes National Park is the best place to safely see a volcanic eruption as close up as possible. During the day, a hearty plume of volcanic gas is visible and provides a constant reminder of the molten rock which churns underground. Come darkness, Halema’uma’u continues to amaze visitors with a vivid luminescence which lights up the clouds as it billows into the night sky. 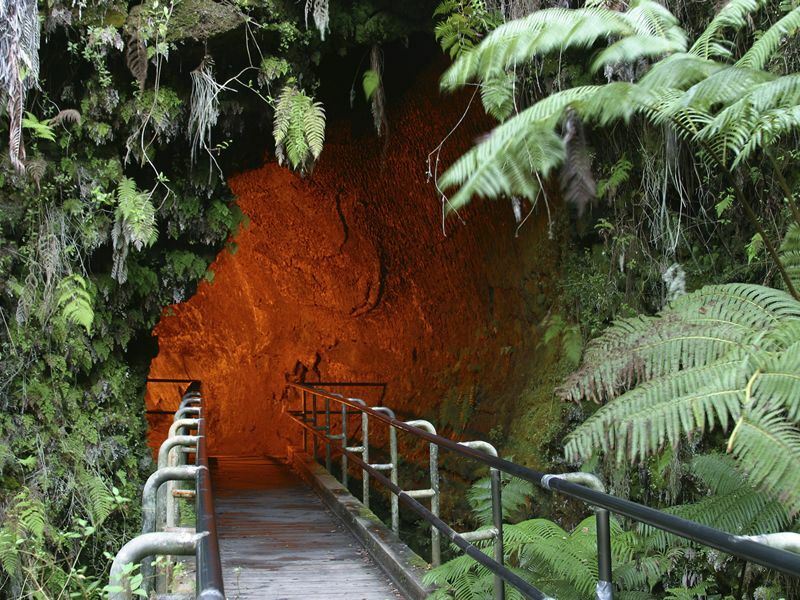 Further reading: From scenic drives, cycling and hiking trails to joining up with a team of volunteers, we uncover the top 10 things to do in Hawaii Volcanoes National Park. What is it: Red Rock Canyon is an area of great geological interest, where people travel to gaze in awe at the natural beauty created by fascinating rock formations in vivid hues of red and yellow. The masterpiece that is Red Rock Canyon has taken years to evolve into now what is an incredible visual display just begging to be explored. Getting around: The Red Rock Canyon is a 13-mile scenic drive, making it easily accessible by car or other personal vehicle. As well as driving around the area, there’s also the option to park up and explore the landscape on one of the many hikes and trails available. 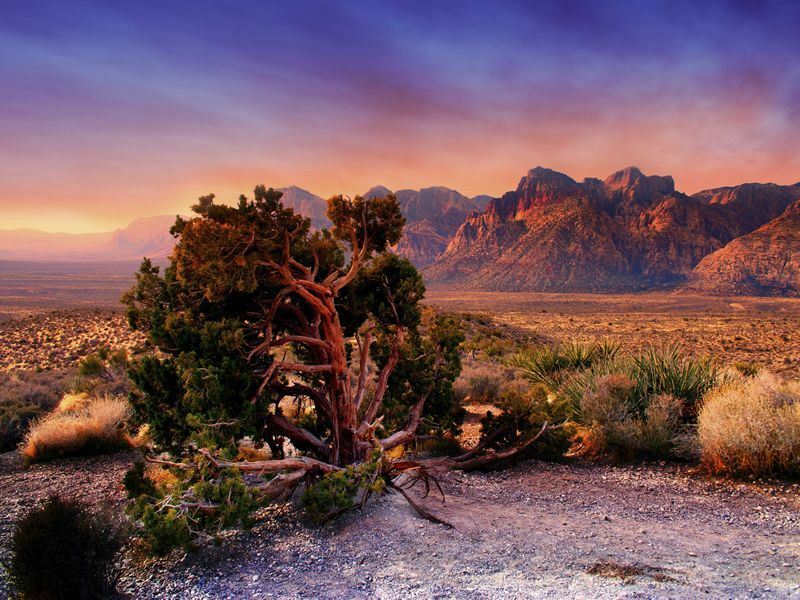 Undoubtedly, the best way of taking in all of the natural beauty that Red Rock Canyon in Nevada has to offer is by traversing through it on horseback. What to see and do: The Aztec Sandstone cliffs stretch for thousands of feet into the sky and are one of the most popular sites to visit in the park, due to the bright red colours created through exposure to the elements, resulting in oxidisation. Mojave Max is Red Rock Canyon’s most well-known resident. This desert tortoise hatched in 1989 and lives alongside eight female tortoises and one male tortoise, where his job is to remind visitors to respect, protect and enjoy the desert. 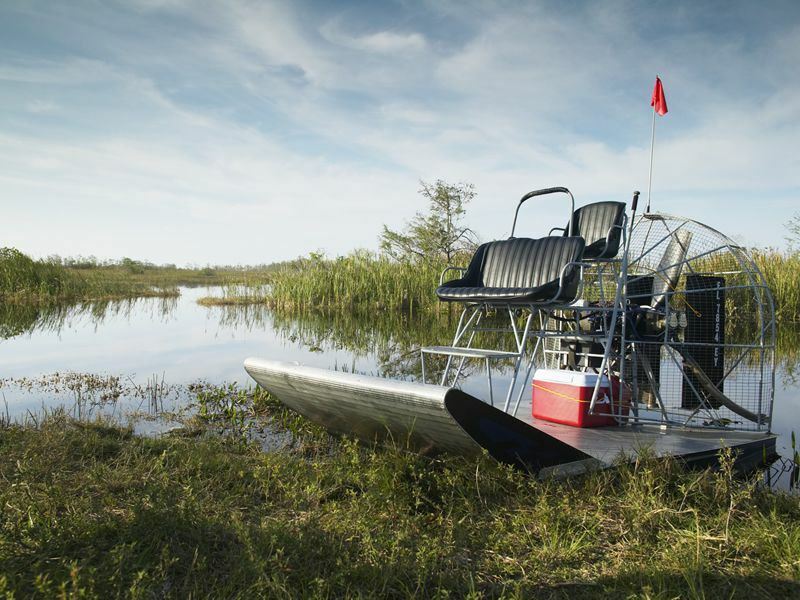 What is it: The Everglades National Park is regarded as the largest subtropical wilderness in the whole of the United States. It spans over 1.5 million acres of land and is the home of many rare and endangered species, including the American crocodile, manatee and the elusive Florida panther. Getting around: There are loads of tours offered throughout the park for those who want to get a real feel for the area. Both tram and boat trips are available for visitors to enjoy, as well as bicycle and canoe rental. Walking trails are also in abundance, with a great selection available from extended hikes to leisurely strolls. What to see and do: The recently-introduced Tamiami Trail Triathlon is a great way for visitors to explore the park at their own pace and includes a 15 mile cycle route, three mile walking trek and 3.5 mile kayak and canoe trail. For those who would like to spend more than a day at the park, camping opportunities are available, with sites on various terrain, including ground sites, beaches and elevated platforms. What is it? Zion National Park is most well-known for the staggeringly beautiful Zion Canyon which stretches on for 15 miles and is over half a mile deep. Here massive sandstone cliffs rise up from the ground in cream, pink and red hues, an incredible contrast to the blue sky. Getting around: From November until March, the Zion National Park can be explored by private vehicles, but the times outside these months are restricted to shuttle buses which are free to use. The park also features a number of hiking and cycling routes for those who want to get closer to nature. What to see and do: Canyoneering is a popular outdoor activity available in the park which tests a number of skills and abilities. There are several different canyons to explore, providing pursuits for everyone – from beginners to experienced canyoneerers. The rivers throughout the park also provide the ideal conditions for surging down the rapids on kayak trips. Further reading: If you've got plans to visit in the near future then get ready for a rocky ride to really relish. 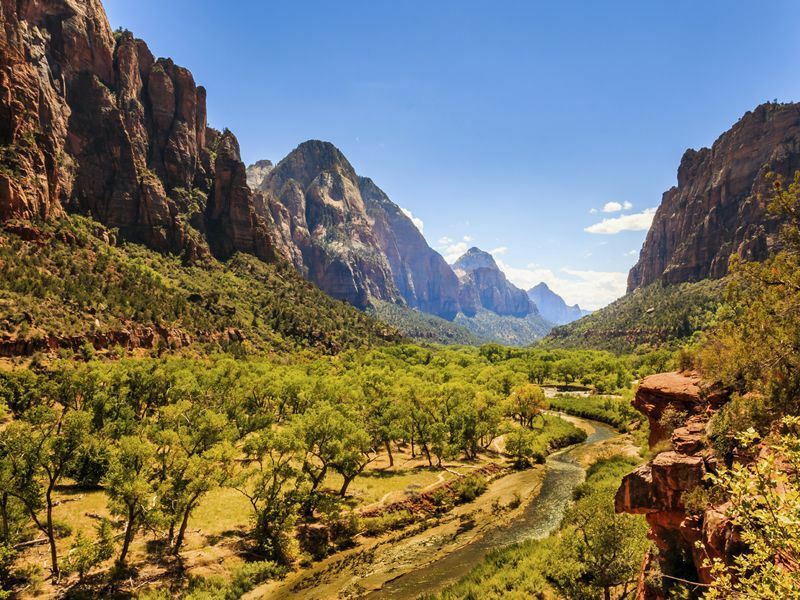 Read our top 10 things to do in Zion National Park for some inspiration. 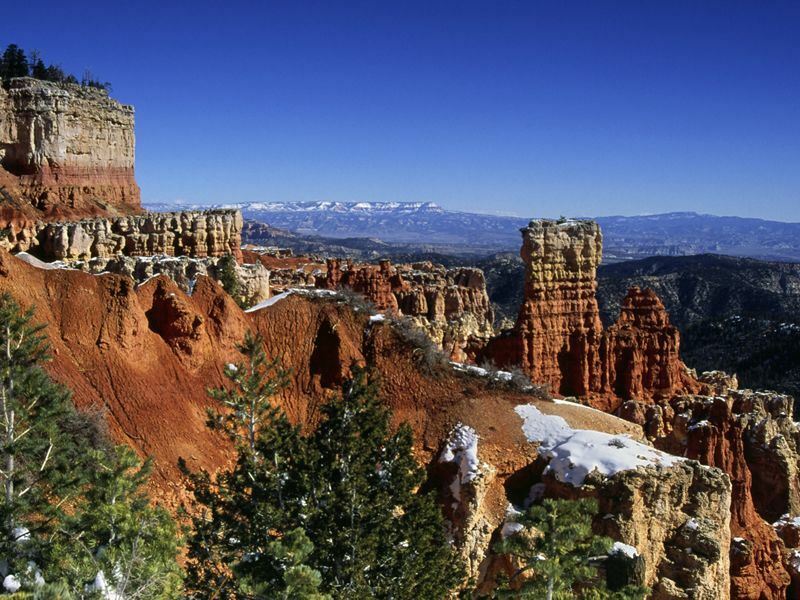 What is it: Famous for its one-of-a-kind geology, Bryce Canyon is made up of a collection of horseshoe-shaped amphitheatres naturally carved out of the eastern side of the Paunsaugunt Plateau. This erosion, combined with the dissolving qualities of rainwater, has moulded the red limestone into various shapes and sizes. Getting around: You can explore the park from the comfort of your own vehicle or hop on the free shuttle bus (available from May until October) which passes by the most popular viewpoints, trails and facilities. Horseback and muleback riding trips below the rim are also available and are a fantastic way to get up close to the rock formations. What to see and do: The visitor centre is a great place to begin and is a wonderful source of information, packed full of exhibits and a 22-minute award-winning film. Full moon hikes – held on 2-3 consecutive nights each month – are fantastic opportunities to see the Bryce Canyon from a different perspective, when the eerie shadows and startling moonlight create a spooky, yet somewhat beautiful atmosphere. This national park is also one of the last sanctuaries of natural darkness, making it a prime location for star gazing. The Dark Rangers run astronomy and night sky programs in which you and learn about and really appreciate the splendour of the night sky. Further reading: Geologists, hikers and lovers of natural photography will love our top 10 things to do in Bryce Canyon National Park. 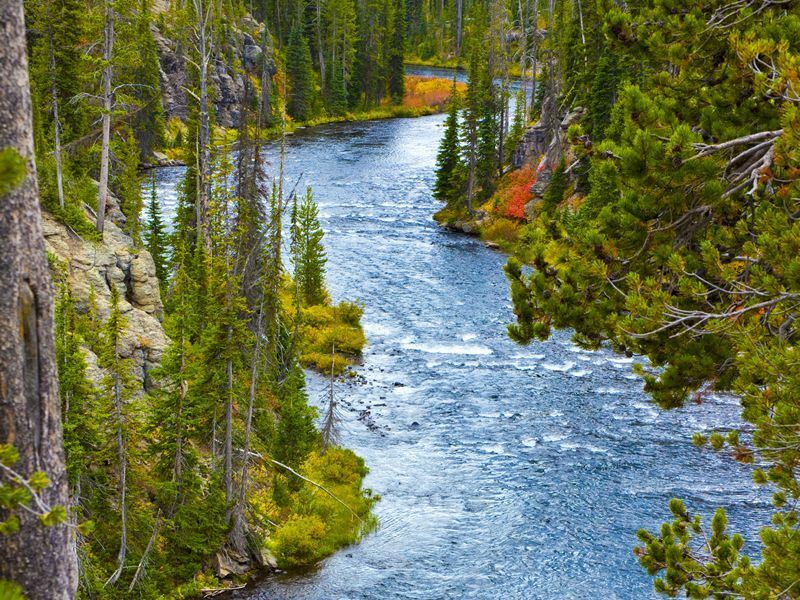 What is it: This national park is most famous for being home to the tallest trees in the world, hence its name. Much more than just a collection of trees, Redwood also protects huge prairies, woodlands, riverways and almost 40 miles of coastline, as well as a variety of wildlife. 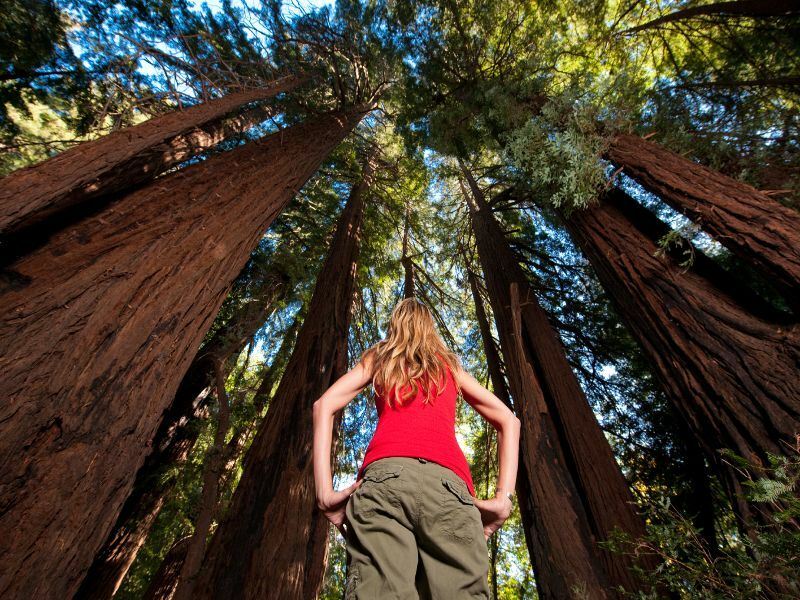 Getting around: With over 200 miles of trails, the best way to see Redwood is on foot. Exploring the park this way ensures that you get as close to nature as possible and allows you to really soak up the peaceful atmosphere. If you haven’t got much time to spare, you can experience Redwood on one of the eight scenic drives. What to see and do: November, December, March and April are the best months for whale watching in Redwood. There are many locations throughout the park – including Crescent Beach Overlook and Golf Bluffs Beach – where sightings are almost guaranteed. The local wildlife isn’t limited to whales – the park is also home to the Roosevelt elk which are commonly spotted throughout the park. Visitors can also try their hand at kayaking on the rivers, lagoons and ocean. Further reading: If you’re keen to see what all the fuss is about or just fancy finding out a little more about what there is to do in and around the old growth redwoods of northern California then check out our top 10 things to do in Redwood National Park. 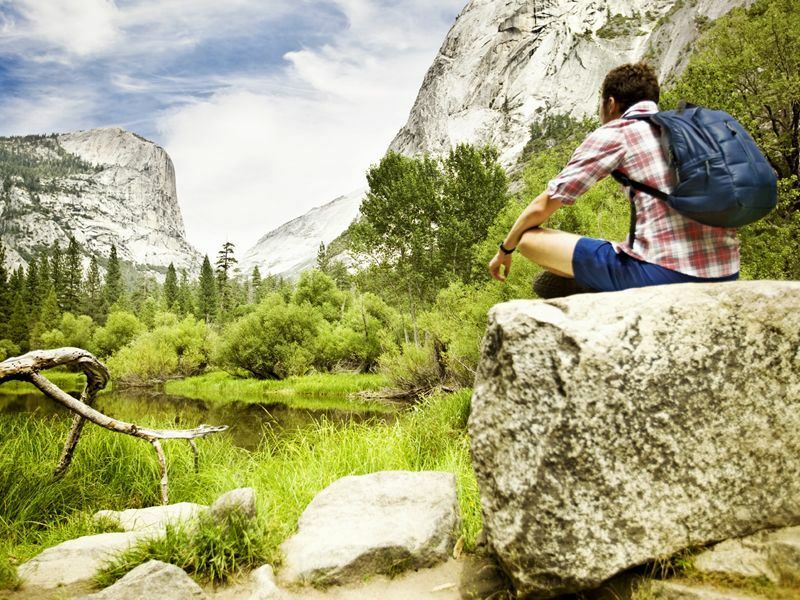 What is it: Covering almost 1,200 square miles of mountainous terrain and protected since 1864, Yosemite National Park is known for its awe-inspiring waterfalls, soaring mountains and giant ancient sequoias. Getting around: Inside the park a shuttle bus service is provided for exploring the Tuolumne Meadows, Glacier Point, El Capitan loop and Valle Floor. For those who want a more natural experience, bicycles are available to rent or you can simply explore the park on foot. What to see and do: Ribbon Fall stands at 1,612 foot, making it the tallest single waterfall in not only Yosemite, but in the whole of North America. As well as the gorgeous scenery, you’ll find an eclectic mix of wildlife here, including some species which were formerly endangered or eradicated. It’s fairly common to see black bears, mule deer, mountain lions, red-tail hawks and peregrine falcons. There is also a myriad of sporting activities to indulge in, ranging from hiking, biking and rock climbing to horseback riding, golf and rafting. 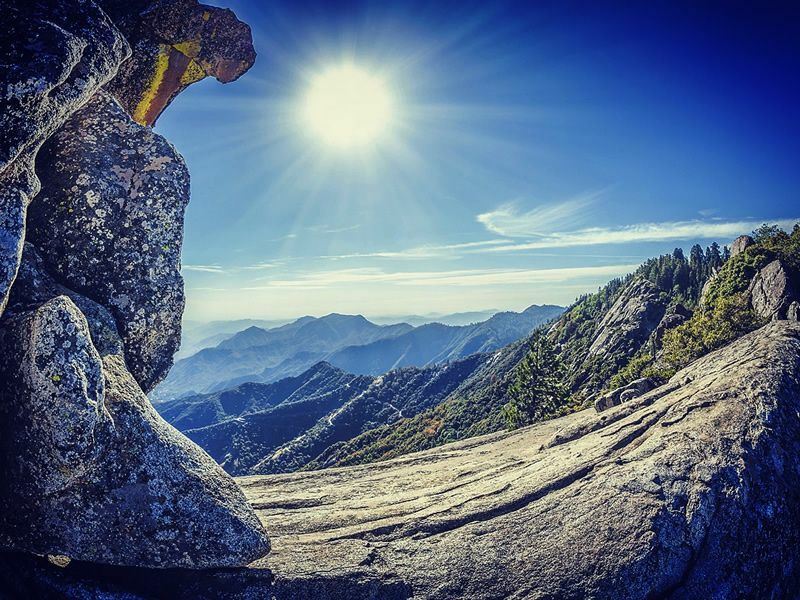 Further reading: If you’re looking for just one location in America to visit in the near future then, seriously, look no further than our top 10 things to do in Yosemite National Park. What is it: Without a doubt one of the most popular and well-known national parks in America, the Grand Canyon is very close to the top of most people’s bucket list. This unique and inspiring landscape is a staggering 1 mile deep and is seen by almost 5 million people each year. Getting around: Most people only catch a glimpse of the South Rim from the window of their car as they drive by. Those who want to really soak up the atmosphere travel to the North Rim, which requires a 220 mile detour drive. The Inner Canyon affords the best experience and is for the most dedicated visitors, only accessible by way of hiking, mule riding or river running. What to see and do: Ranger programs are free to attend, to find out all there is to know about the culture, history, science and nature behind the Grand Canyon. There are a number of visitor centres and museums throughout the North and South Rims, absolutely brimming with facts and information in the form of theatres, 3D maps, exhibitions and photography. Further reading: Helicopter rides, white-water-rafting and plenty of Native American heritage makes a trip to the Grand Canyon a fascinating prospect. 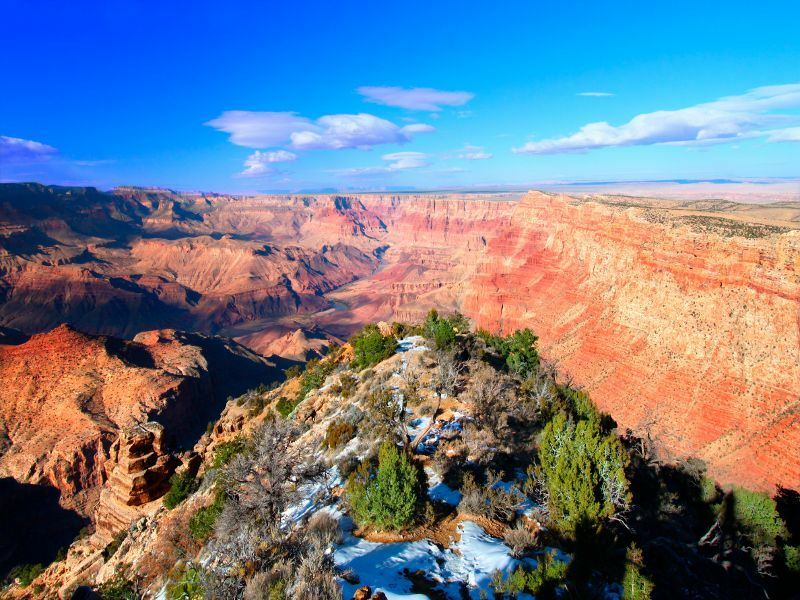 Discover the top 10 things to do in Grand Canyon National Park. What is it: Great Smoky Mountains National Park covers the dense forestal area between North Carolina and Tennessee. Internationally acclaimed for the sheer diversity of its plant and animal life, ancient mountains and Southern Appalachian culture, this is one of America’s most visited national parks. Getting around: There are 384 miles of road throughout the Great Smoky Mountains, which makes driving one of the easiest and most comfortable ways of travelling. The park is also suitable to explore by bicycle, on foot or on one of the guided horseback rides offered throughout several routes in the park. What to see and do: There are over 90 beautiful historic buildings – including houses, barns, schools and churches – scattered throughout the Great Smoky Mountains which are wonderful to see. The national park is also teeming with stunning waterfalls, including the Mingo Falls which – at 120 feet tall – is one of the highest and most spectacular in the region. 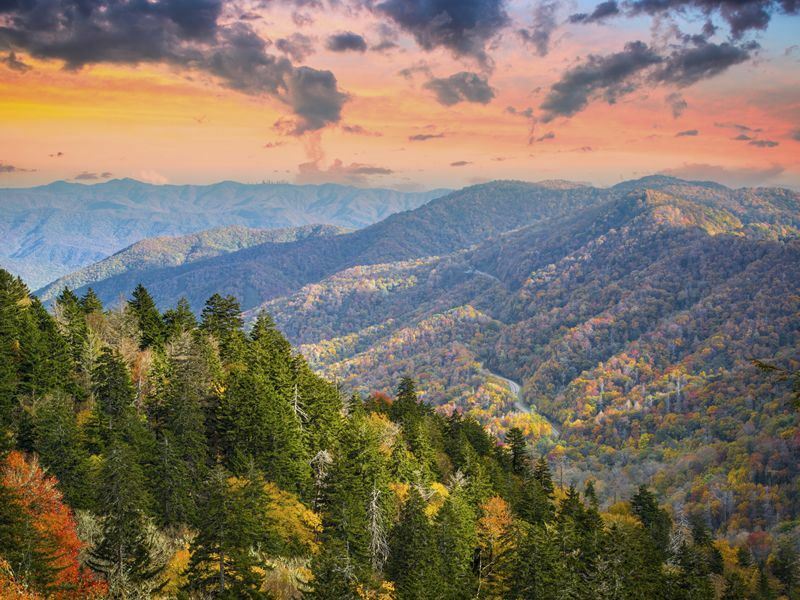 Further reading: Discover our top 10 things to do in the Great Smokies - activities to whet your outdoor appetite when planning your stay in this amazing national park. What is it: Established as America’s first national park in 1872, Yellowstone is home to most of the world’s geysers, including the famous Old Faithful. A wonderful mountain wildland, this park is one of the Earth’s last natural ecosystems. Getting around: There is a number of roads which can be used by both vehicles and bicycles. For a more comprehensive understanding of the park, you’ll have to park the car and follow one of the bicycle-only trails. There are over ten of these trails covering various regions, including Mammoth and Old Faithful areas. What to see and do: A trip to one of the visitor centres is the best way to learn about the Yellowstone National Park. The exhibits cover vast subjects about the natural and cultural history of the area through interactive displays and state-of-the-art technology. A number of ever-changing ranger-led programs are also available throughout the year.